Built for the Canadian Southern Railway in 1871 as a single track timber structure. 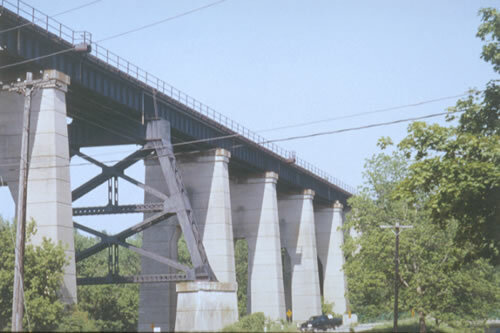 Replaced in 1883 by a double track steel structure and reconstructed in 1927 with reinforced concrete piers and deck plate girders. Innovative construction techniques were used on both reconstructions to avoid disruption to regular rail traffic.